Lorenzo Ceccotti, also known as LRNZ, mixes Japanese art style with Western graphic design. This is the sort of feel and style I've come to love in artist Bengal, who I've spoken about at length. 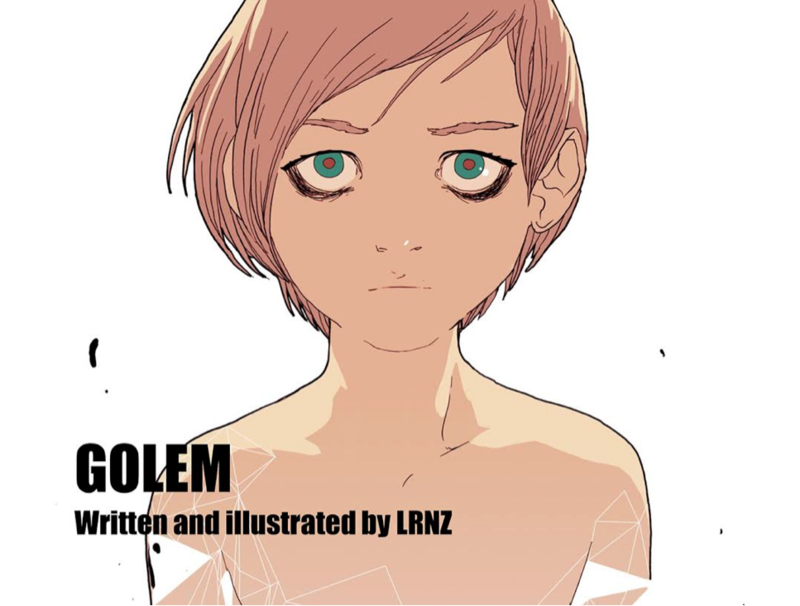 This is LRNZ's first full length graphic novel and it debut's TODAY from Magnetic Press. Golem presents itself as commentary on capitalism in it's ultimate form. But it's also showcasing and warning of the power of consumerism and almighty Corporation. This future Italy is a vacuous environment of marketing propaganda, sterility, false freedoms, and emptiness... everything is regulated, everything is connected, everything dictated... even cooking is a thing of the past. Ready meals at the touch of a screen to save your lungs from extra free radical producing carcinogens. A world complete with gambling options at your local ATM! A sprawling metropolis where plant life is a rare sight to behold. Absolutely everything is branded. Everything is disposable, which means waste is at an all-time high. There's a real familiar feel to this book. Perhaps as an anime, manga junkie, the artwork appeals to me but standing back and looking at it there's a real science fiction familiarity to it that other modern dystopian stories lack. This reminds me more of Akira and Rock and Rule lol because of the panels specifically detailing the metropolis. It looks impressive but chaos hide in the alley ways. My only real criticism is that there are some confusing words, made up devices and fake tech talk that often bothers me in science fiction stories. My brain kinda drifts off and detaches from the plot unfortunately. But luckily this isn't overwhelming in the book. It happens in little blurbs here and there to explain failing technology.. you know like how Star Trek blames everything on tachyons. I really did enjoy the book and had to plow through it in one sitting just to find out how it ends. It's a page turner for certain (or scroller, if your a digital reader). This would make an awesome gift for any Akira lover out there. 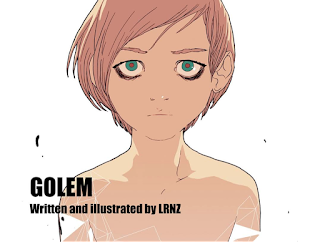 Check out the website: http://www.magnetic-press.com/golem/ and you can order directly from there! Also most of your local comic book stores do carry Magnetic Press books of course. If you are in Halifax, you can find Magnetic Press books at Strange Adventures. Peace!